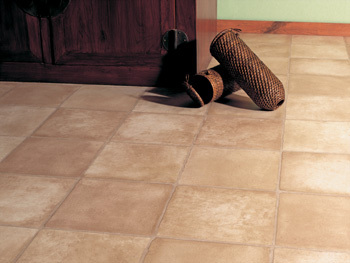 Do you want to update the flooring throughout your house? Want something that appears to be luxurious but doesn't cost a fortune? Seymour Carpets in Tawas City has the perfect solution for you: vinyl sheet flooring! Our large showroom is stocked with an endless array of vinyl in various patterns and colors. Whether you want to buy something that is classic and neutral or modern and unique, you can rely on finding all that you need to make over the flooring in your Tawas City house at Seymour Carpets! Do you like the look of hardwood or stone floors? Seymour Carpets sells a budget-friendly alternative: vinyl tile and plank flooring. We have an assortment of styles that look just like real wood and stone. Available in various colors including the top-selling wood species, such as oak, maple, chestnut and cherry, you will find a material that is perfect for your house right away! Are you interested in learning more about vinyl flooring prices? Call Seymour Carpets now at <PHONE> to speak with a sales specialist to learn more information about our top-notch products! Contact us to give you a free estimate. We proudly serve the communities of Tawas City, Oscoda, National City, Au Gres, Hale, Greenbush, Mikado, Harrisville, Hubbard Lake, Lincoln, South Branch, West Branch, and Whittemore, Michigan.